Russian Master Andrei Tarkovsky named his autobiography ‘Sculpting in Time’ as he had an eternal fascination for cinematic time. As we know from a multitude of movies using time travel and time loop as plot devices, cinematic time, or the time we experience while watching a movie, can be bent, squeezed or stretched. Based on the filmmaker’s insights and imagination, such movies can run for infinite running time, hypothetically. But, the humongous popularity and fan following of time-related movies owes to their cryptic structure and tricky endings. 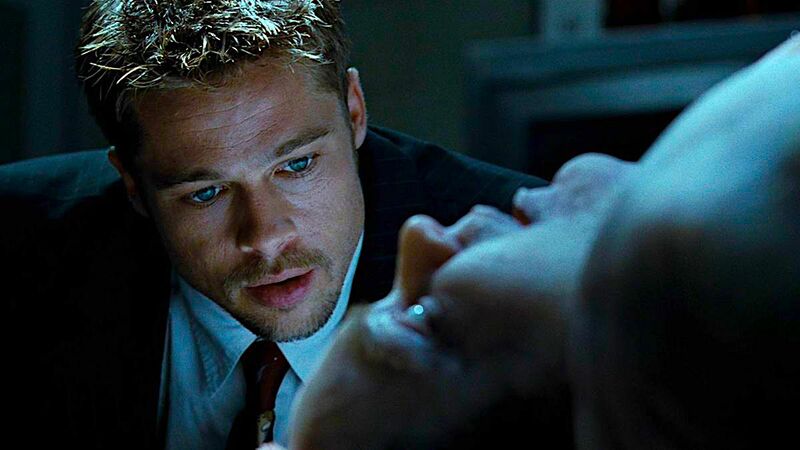 Movies like ‘Naked,’ ‘The Endless,’ ‘Doctor Strange,’ ‘The Infinite Man,’ ‘Looper,’ ‘Déjà Vu,’ ‘Run Lola Run,’ and ‘Back to the Future Franchise’ used time as a stunning plot device to keep is on the edges of our chairs till the end, and grill our brains for weeks after watching them. 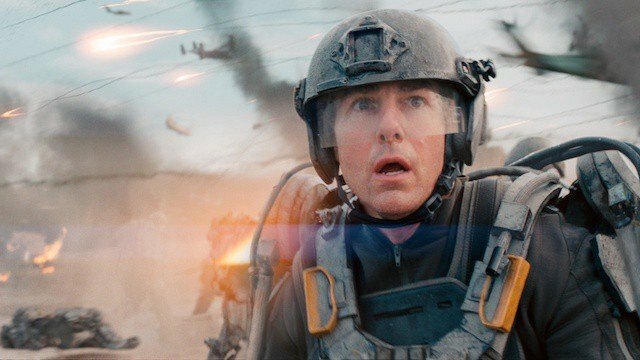 ‘Edge of Tomorrow’ stands apart from the above-listed movies for its weird plot structure, which reminds us of a combat video game. The movie also leaves us on a cliffhanger as it ends on a cryptic shot. There are many interpretations for the open ending climax scene. The most prominent among them is the time loop theory and the movie narrative’s similarity to video games. 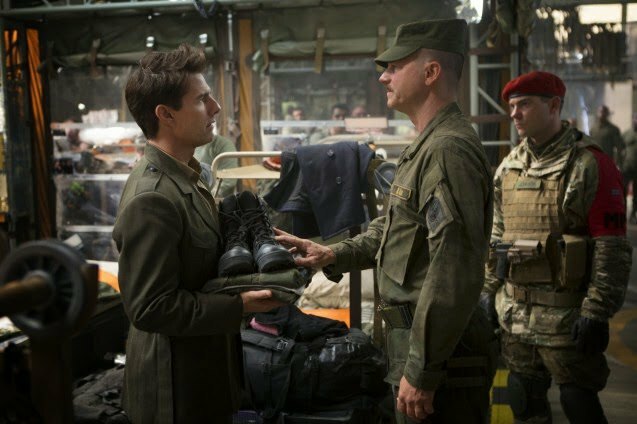 ‘Edge of Tomorrow’ never uses time loop for an ostentatious purpose of a gimmick, but as the core of the plot. In that sense, ‘Edge of tomorrow’ makes the form of the movie its content and content of the movie is its form, cryptic, isn’t it? But, Cage refuses to document the campaign and is declared as a deserter by the high command. An enraged General Brigham commissions Cage to serve in the infamously rouge J-Squad. Upon joining the squad, Cage is treated as a man of a low profile soldier for his non-combat background by the fellow squad members like Skinner, Kimmel, Griff, Nance, Ford, and Kuntz. The operation goes awry with the Mimics strike back heaving on the J-Squad. While Cage is watching helplessly, Mimics drones wipe out the J-Squad and other fighters taking part in the offensive. Among them is UDF war hero Rita Vrataski, played by Emily Blunt. While a Mimic mercilessly slaughters Rita, Cage gets enough time to swim down drop grenades on an Omega and kill it. But, he has the blue Omega blood all over him which has the power to dissolute the human body. The Omega blood kills Caga ad we see him again jolted up from a dream at a hospital ward in an airport-turned-military hospital, Heathrow airport. He finds himself in handcuffs, and to the sheer surprise, he knows he can rest time now! The Alpha blood has given Cage the ability to loop time. Every time after his death in the war field, Cage wakes up at Heathrow and goes through the same series of events that lead his death. In one of these endless loops, Cage befriends the war hero UDF war hero Rita Vrataski and when she realizes Cage can reset time, she takes him into physicist Dr. Carter, played by Noah Taylor. Carter explains them the Mimic physiology in detail. Mimics are the super-organisms, far advanced than humans, who can adapt to human military strategies rather easily and reset time with a highly-evolved hive mind called ‘Omega.’ It is an extremely large and mighty brain of the Mimic force hiding in a safe place away from the battlefield. The final showdown is a breathtaking exchange of fireworks between Mimics and the J-Squad. While the Squad members sacrifice their lives one-by-one to provide cover to Cage and Rita, who inches closes to the Louvre Pyramid, Omega’s hideout. Both Cage and Rita have lost the ability to reset time due to the blood transfusion. They are pretty sure that there is only one way out of this never-ending loop, to kill themselves with the epicenter, Omega. There will be no time reset this time! While Rita keeps Mimics busy, Cage finds his way through the Mimic mess towards Omega. Rita dies in an attempt to hold off the large Alpha Mimic guarding Omega. Cage swims down to get Omega which is hiding in a flooded parking garage down under. But, as he goes down, Cage is speared through the chest by the Alpha. Cage manages to release a cluster of grenades before drowning. The explosion kills Omega and Alpha and leaves the dying Cage smeared with Omega blood. He hijacks the time reset powers again with the Omega blood. He wakes up at his usual start point in the loop, with all Mimics are dead and the world is free of invasion. While he walks around the Heathrow, Cage sees the J-Squad members jogging around and he walks straight to Rita. Having no knowledge of the loop, the past events and their romantic endeavors, she asks the stranger, ‘Yes! What you want?’ Cage chuckles and the screen fades out to black for the titles. Since Omega is the brain collective of Mimics, it has total control over the time reset mechanism. All the other Mimics are attached to the Omega through a connection network. When a Mimic dies in the war, Omega receives the signal and reset the time by 24 hours. Now, every event will repeat with the reincarnated Mimic retains everything including its faults, UDF tactics and formations and the reason for its death. It won’t repeat the same mistake that led to its death again, and this is the rule that makes Mimics immensely powerful. When Cage inadvertently hijacks the time reset power during his first death, it means he possesses Omega’s status as the nerve center. Only one center can control and reset time at a time. So, Omega, now powerless, tries to retrieve its power by trapping Cage and Rita. The alien creatures have developed advanced technology to control time so that they adapt to UDF’s military tactics. Mimics can also see Cage approaching Louvre Pyramid, because Omega had already watched it in another timeline, and had devised a different strategy to prevent the attack. In other words, Omega can turn the outcome of any event favorable for Mimics. Besides, it can create deadly traps from any combats by learning the tactics of the opponent. But, the moment Cage acquired the power, Omega becomes powerless and tries at any cost to regain it. Because without the time reset power, it can’t reincarnate Mimics dying in the battle with UDF forces with updated combat knowledge from the past timeline. One man besides Cage and Rita who is crucial in the outcome of the events is Dr. Carter. He holds the key to the secret of Omega’s time reset power. After their meeting in the on the French battlefield, Rita reveals that she had once acquired the looping ability and eventually lost it during an injury and consequent blood loss. But, during the brief time of looping, she consulted Dr. Carter and together they studied the time reset phenomenon of the aliens. They experimented with various methods like physical contact, blood, or other bodily fluids, to find out the secret behind the transfer of the miraculous power. Dr. Carter and Rita found out that only on the organism can act as the master brain with time reset power at a time. It can be a human being or a Mimic. 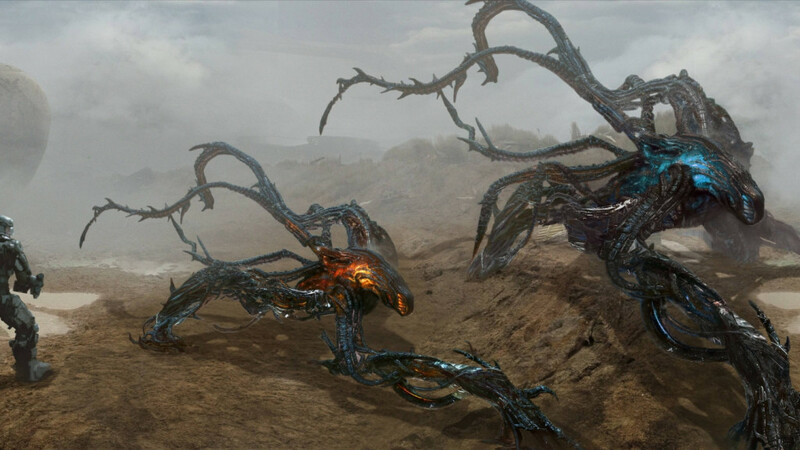 When Rita acquired the ability, Omega lost its control over the Mimic army. Contact with Alpha blood also triggered various visions in Rita about Omega’s hideout. Dr. Carter solved the mystery by concluding that all the other Mimics are mere extensions of Omega. So, if they can locate and destroy Omega before a reset, they can destroy entire Mimic army forever. Based on Rita’s bizarre visions at that time, Dr. Carter has built a new technology to locate Omega. It works by hijacking an Alpha Mimic’s connection to Omega and track its hideout using the connection. After some trials, Dr. Carter and Rita successfully develop the tracking gadget, which comes handy for Cage when he sets out to find Omega’s hideout. But, the UDF forces ambush Cage and Rita when they attempt to escape with the gadget and Cage is severely injured. In the subsequent blood transfusion, he loses the time reset power, while Omega retrieves it. The J-Squad members, who are known for their rouge behavior, never seriously take Cage into consideration. 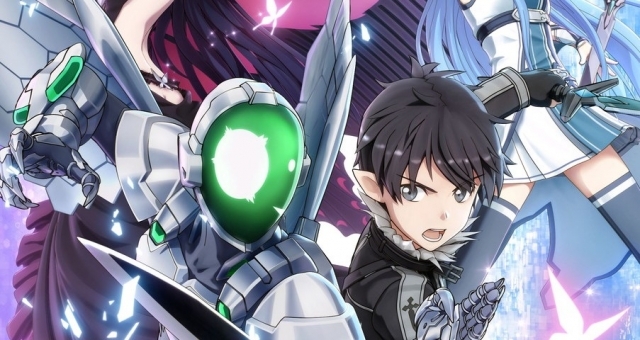 But, one he convinces them of the existence of time loop and Omega’s power to reset time, they step-in to the final showdown with Cage and Rita. Without their help, Cage and Rita would have been left helpless because both of them are devoid of their time reset powers. The J-Squad members sacrifice their life while covering up the advance of Cage and Rita toward Omega. They unleash a deadly exchange of fire with the Mimics guarding Louvre Pyramid, where Omega is hiding. But they have to reach Omega before the next time reset else the whole series of events will start rolling again, with the Omega updates its experience and strategy of countering Cage and team. The movie pays its tribute to the bravery of J-Squad with the ending scene of they are jogging around, with their menacing spirit and merry at the peak. Both Rita and Cage have bizarre visions of Omega and its hideout. At first, they assume those are the side-effects of the time reset power. But, the vision is elaborate traps planted by Omega in attempts to regain the time reset power. Omega plants the visions once it identifies the human who possesses the power. They act as potential traps to lure the person to Omega and grave danger. Omega draws Rita and Cage to its hideout with the help of visions because it had to regain the blood having time reset power from the bodies of Rita and Cage at any cost. Since the Mimics army operates on the basis of time reset power, they will be wiped out in minutes if any person other than Omega possess the miraculous power. After the big bang at the end, Omega is gone forever along with Mimics. Cage is lucky enough to have contact with the Omega blood before he dies and the fluid mixes with his blood through the wounds. Like in the first incident he gains the time reset power and wakes up again on the way to meet General Brigham. He sees Brigham announcing on TV that the Mimic invasion has stopped after a mysterious explosion in Paris. Cage then goes to Heathrow and finds the J-Squad jogging around in a joyous mood. Then he encounters Rita, who greets him as a stranger. The last shot ends with Cage’s chuckle as he is the only person who knows about the mysterious blast General Brigham referred to as the world believed the Mimic threat ended because of an unknown reason. The clue to all these conclusions lies hidden in the last shot, in which certain actions in the previous loops are missing while some others are retained. This anomaly hints that Cage, Rita, the J-Squad, and the world survive and life start rolling against as if nothing has happened. Since the world believes the Mimics are dead because of an unknown reason, and Rita and the members of the J-squad have no clue that they have helped to save the world by risking their own lives, Cage’s chuckle at the last shot assumes a cryptic charm. Moreover, Rita has opened up about her love interest to Cage in one of the previous timelines. And, Cage is eager to reunite with her in the present. But, Rita’s reaction is strange as she meets Cage technically for the first time. It’s her weird expression and the question, ‘Yes! What you want?’ make Cage chuckle. Knowing the fact that Omega is dead and the remaining Mimics on Earth are wiped off, putting an end to the alien invasion, is known to one person is a difficult premise to handle for any man. Cage is left with a predicament at the end of the movie. 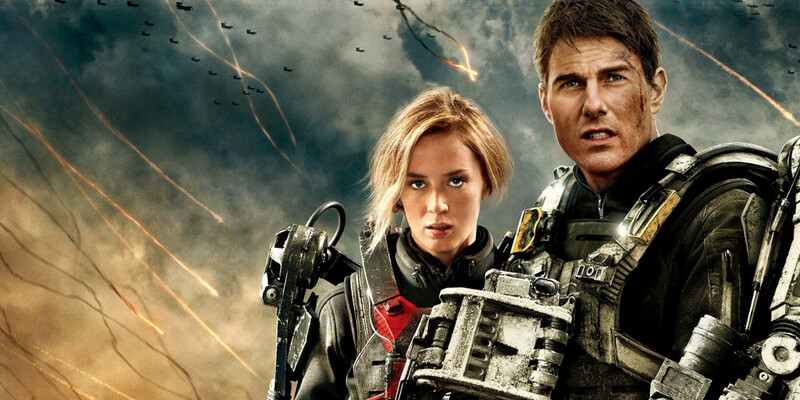 So, it can’t be said that ‘Edge of Tomorrow’ ends on a happy note. Because the end would have been happier if Cage and Rita could have credited for their efforts to save the world from invasion. And, the J-Squad is also left without the knowledge of their heroic part in the final showdown. 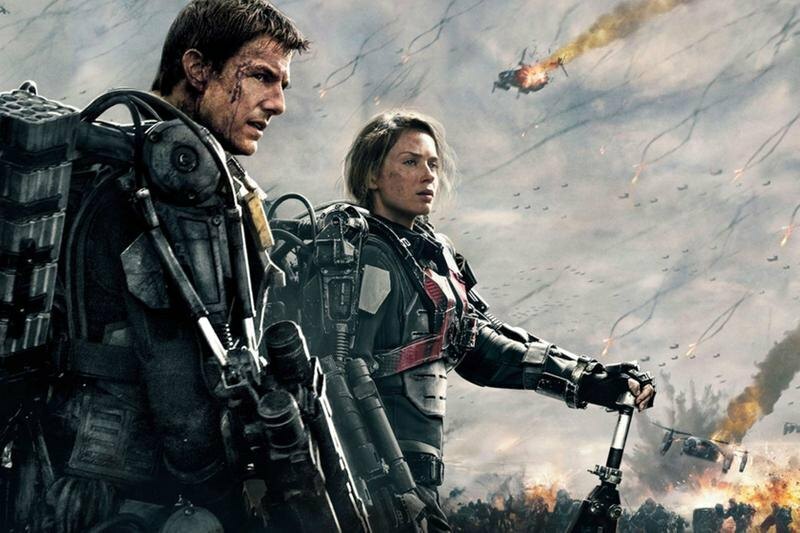 By tampering the timeline, the makers of ‘Edge of Tomorrow’ leave the viewers scratching their head a little too. 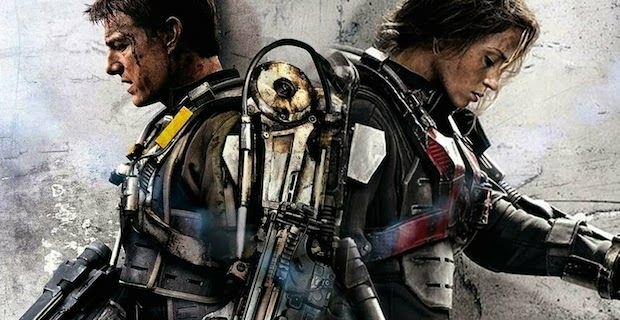 But, the movie’s writer Christopher McQuarrie took to his Twitter handle that there will be a sequel to ‘Edge of Tomorrow’ which is titled ‘Live Die Repeat and Repeat.’ The news enthralled ‘Edge of Tomorrow’ fans as the sequel may compensate the dues pending to Cage, Rita and the J-Squad. Even though the director Doug Liman is yet to confirm the news of news, any news regarding the sequel is a piece of good news for the eagerly waiting fans. They demand Cruise and Blunt to return and save the world from another deadly threat while realizing their unfinished romantic chapter. Apart from all the microscopic analyses and explainers, ‘Edge of Tomorrow’ stands tall as a cult sci-fi time travel movie. For a generation so obsessed with video games, where setbacks in various rounds are a common thing with the players keep learning and improving with playing the game in a loop, the plot of the movie is very close to heart. They can easily identify with the time loop and digest how it forms the narrative of the movie.